A&A Auto Service is built with a staff of dedicated and skilled auto service professionals. 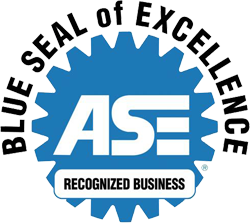 Our technicians are highly trained and certified with the National Institute for Automotive Service Excellence (ASE). A&A Auto Service offers complete maintenance for businesses that need a trustworthy service partner for their fleet of vehicles. We will help control costly downtime by keeping your cars and trucks on the road. A&A Auto Service is your brake and wheel alignment headquarters! Although it is not all we can do, it is what we do best! We have the equipment and experience to complete every job perfectly.